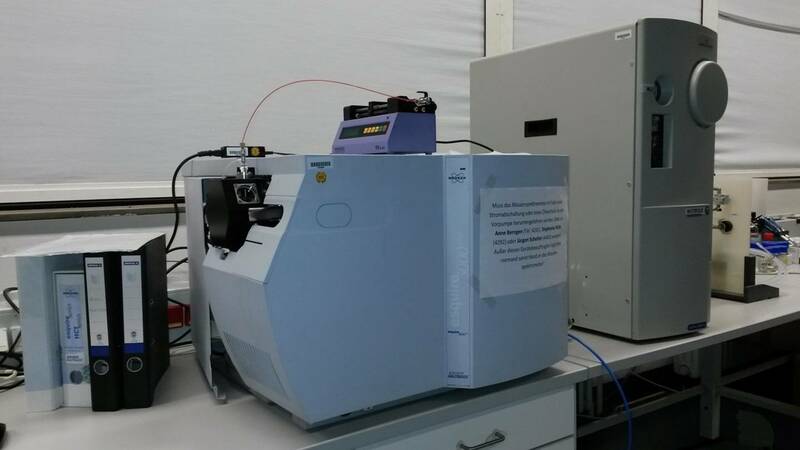 In general, with the help of mass spectrometry it is possible to identify (multiply) charged compounds by the detection of mass-to-charge ratios. Furthermore, with isolation and fragmentation experiments (MSn) structural informations of unknown compounds can be obtained. The Bruker Esquire 3000plus mass spectrometer uses electrospray ionisation (ESI) to generate charged molecules. The mass spectrometer is able to detect mass-to-charge ratios in the range of 50 to 6000.